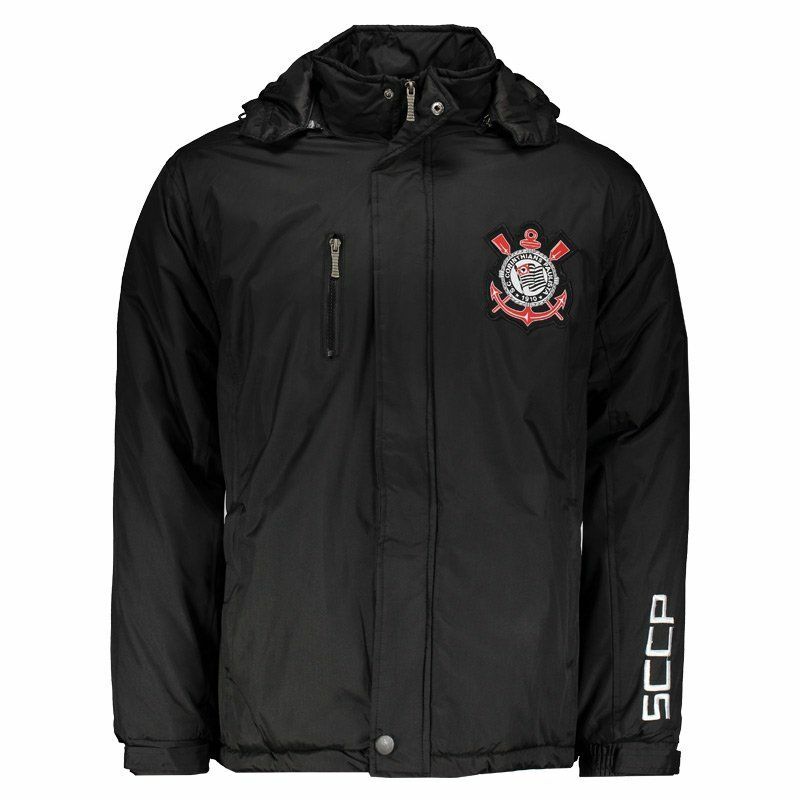 The Corinthians New Dobby Poly Jacket will heat alvinegros on cold days. 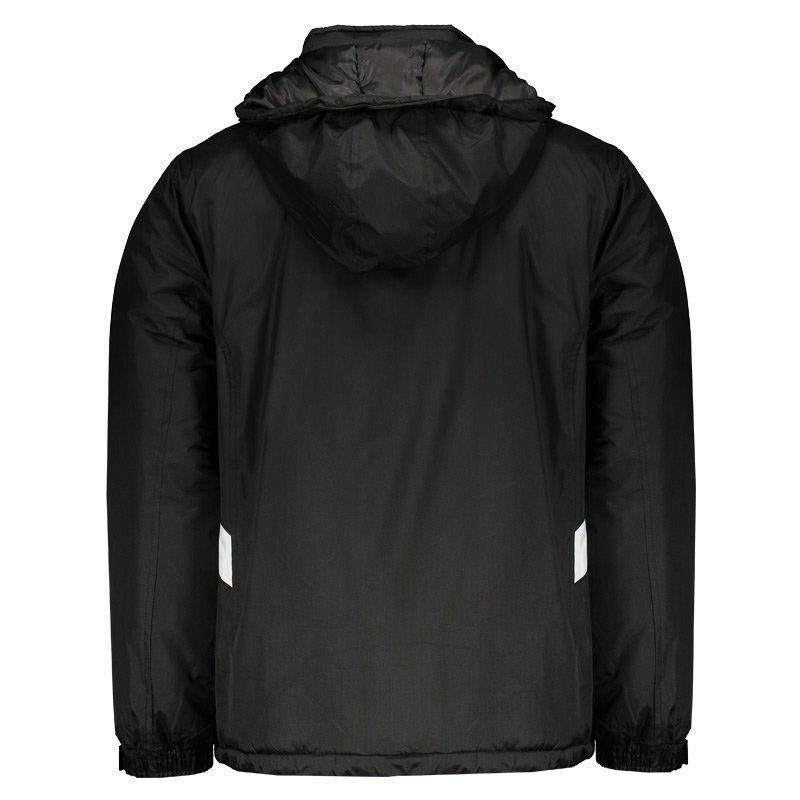 Made of soft, lightweight polyester, it has quilted fabric with small seam fillings, also made of durable polyester. Features predominantly black design with white accents. More info. 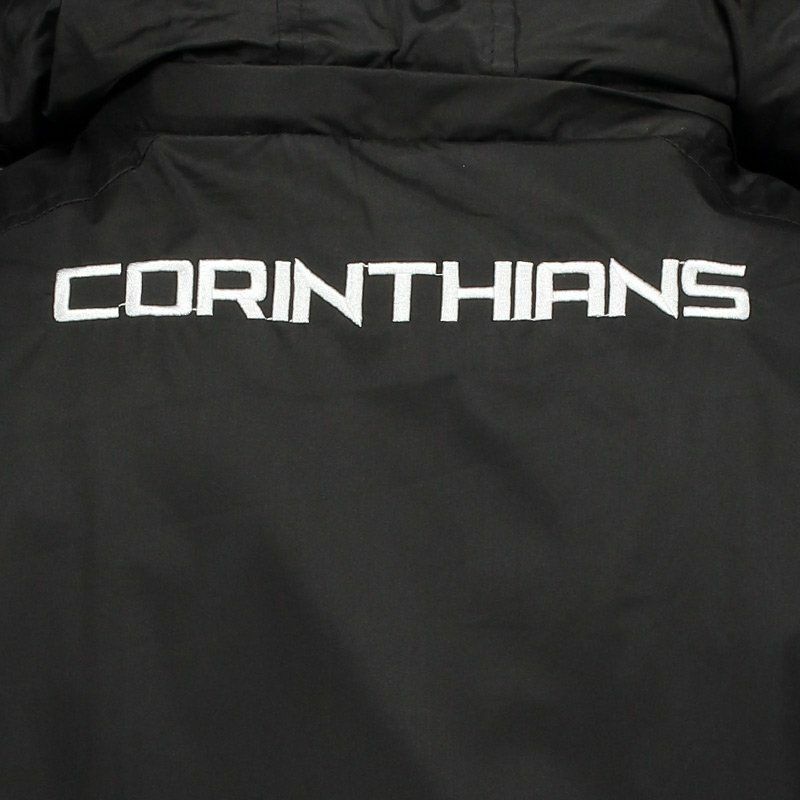 The Corinthians New Dobby Poly Jacket will heat alvinegros on cold days. Made of soft, lightweight polyester, it has quilted fabric with small seam fillings, also made of durable polyester. Features predominantly black design with white accents. In addition, the badge of the team appears embroidered in the chest and in the left sleeve, it carries the acronym of Timão. The cuff of the sleeves has ribbed and velcro finish, responsible for shaping the body better, just as the bar has elastic. 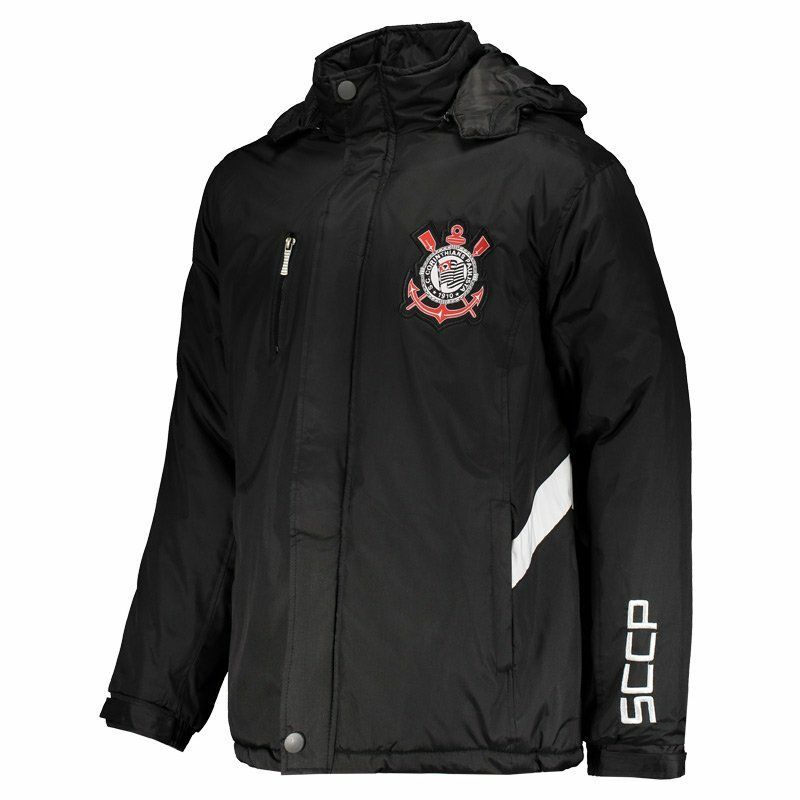 The opening is regulated by zipper and button, guaranteeing more security and protection. The collar, on the other hand, is high and comes with optional adjustable hood. Finally, it has three front pockets and one internal, ideal to store small objects. Get it now!